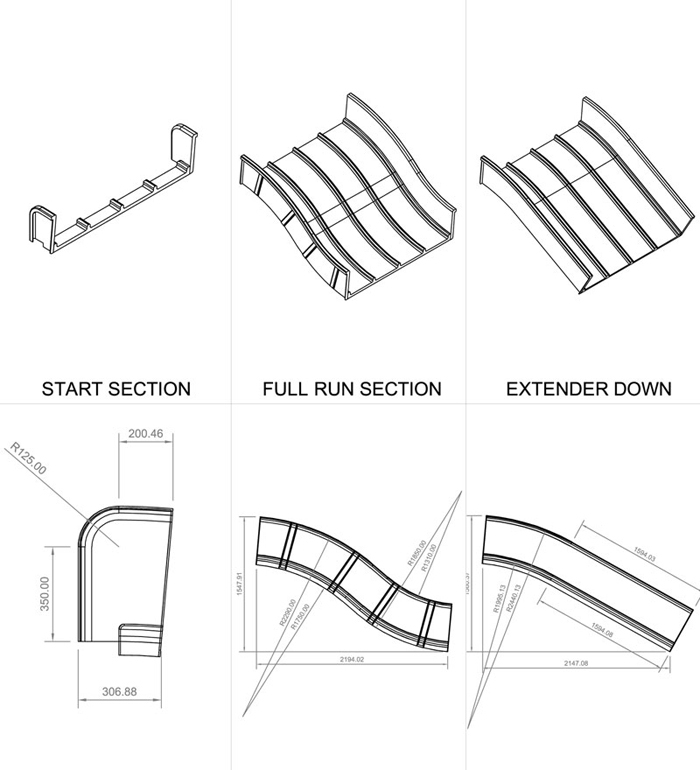 StuartSmithDesign completed the 3D design drafting of multiple childrens slide part assemblies constructed from GRP. These 3D drawings were then turned into 'connectable' 3D blocks to allow designers to piece them together to easily produce accurate slide assemblies to suit their project needs. StuartSmithDesign has also completed multiple 3D Blocks and 2D technical files for play components manufatured in GRP, rotationally moulded polyethylene and more traditional materials.